“Set in Stockholm, this thriller plunges us into a mystery of biblical origins but modern implications. Nova Barakel is an ecowarrior whose focus on the greenhouse effect and corporate responsibility compels her to commit vandalism. She inadvertently becomes the prime suspect when she stumbles upon the scene of a grisly murder during a politically motivated spray painting spree. In an attack on another front, her cohorts unleash a phone virus intended to cripple the next target on their Dirty Thirty list of environmentally dangerous corporations. Several more killings, shadowing the environmentalists’ gargets, implicate the ecogroup as modern Nephilim, descendants of stowaways on Noah’s Ark. Who are the Nephilim and what is their intention? Nova becomes an unwitting participant in their ancient machinations. Library Journal has the highest circulation of any librarianship journal — approximately 100,000. 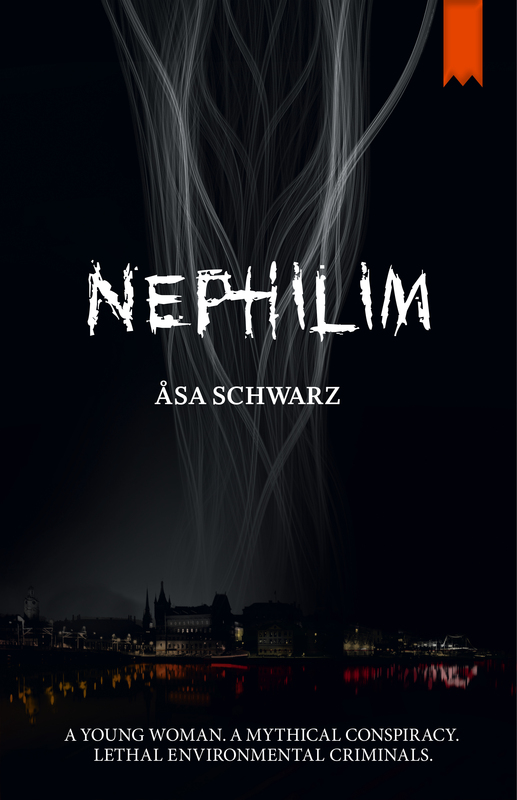 Previous PostNephilim has been released in the U.S. of A. today! Next PostRead CENTR – a short story about the power over the Internet!